Pros: Compact size; light weight; bright, sharp image; excellent build quality; great strap, case and accessories; high quality Swarovski glass and coatings, good balance and handling for its size. Cons: Fairly narrow field of view, and softening at the edge makes extended viewing a little uncomfortable in some condition; surprising amount of glare in strong light; 3m close focus could be better for an “all-rounder”. I was really excited about reviewing the CL Companion. They certainly look the part, they feel great in the hand, and are obviously a very high quality instrument. Initially I loved the CLs, but after testing them extensively across a wide range of conditions I began to feel a little underwhelmed by the overall experience. There’s no individual factor that stands out — it’s more a combination of little things that simply didn’t work for me*. The image quality in good viewing conditions is very impressive, but it does deteriorates a bit more than I expected it to towards the field edges. There also seems to be an issue with glare in difficult light conditions. The result is a binocular that, while excellent in many respects, doesn’t really fit the bill as a “primary” birding and wildlife binocular. If you have the budget the CL would make an ideal compact travel binocular: it’s small, unobtrusive, extremely robust, and has the optical muscle to deliver superb views in most situations. If, however, you’re looking for a mid-size primary birding and wildlife binocular for use day-in, day-out then I’d recommend spreading your net a bit wider. View the CL Companion binocular on the Swarovski Optik website. *Update 12/11/2012 NB. 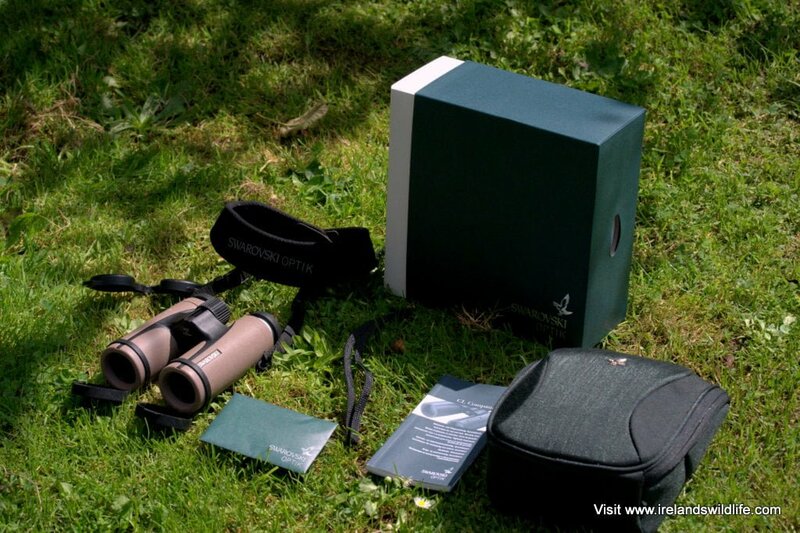 This review is my personal opinion based on a 10×30 review sample of the CL Companion sent to me by the team at Swarovski Optik UK, and documents my experience using that individual sample for wildlife observation and birding in Ireland. Many other reviewers have been delighted with the performance of the CL Companion as a general use / all-round binocular. 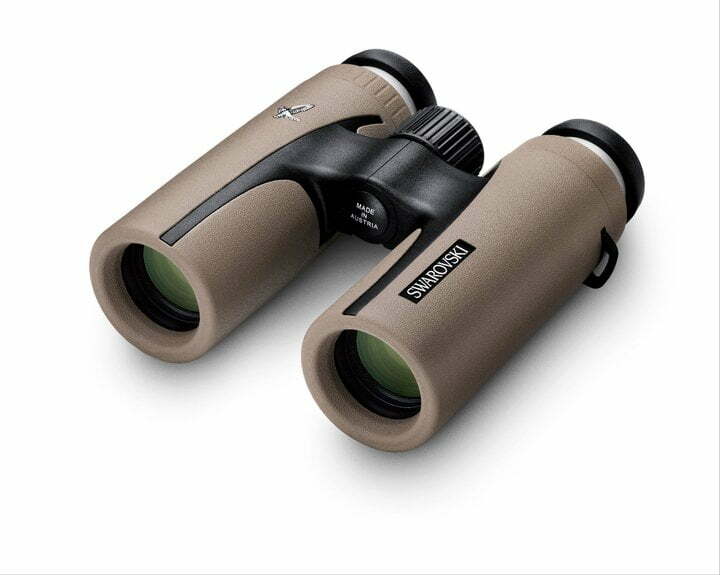 In the interest of balance you may want to check out this in depth review of the Swarovski CL Companion 8×30 model on the Best Binocular Reviews Website. 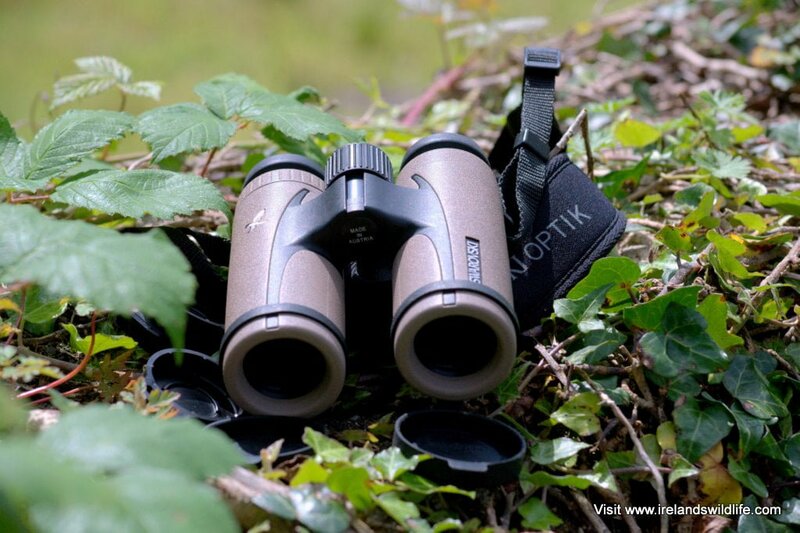 Swarovski Optik is an Austrian premium optics manufacturer that, along with German companies Leica and Zeiss, represents the “top tier” of birding and wildlife optics. While manufacturers in other parts of the world are improving all the time, and continue to “narrow the gap” at increasingly compelling price points, if you want the best Swarovski, Leica and Zeiss continue to set the “gold-standard” that other optics companies strive to emulate. Naturally along with that premium reputation comes a premium price tag. So when Swarovski Optik launched a new mid-priced (for them), mid-sized binocular (the CL Companion) in June 2011 I was keen to try out a pair. Just over a year later I finally got the chance when the CL Companion 10×30 binocular landed on my desk at IWHQ. Swarovski CL Companion: What’s in the Box? The CL Companion comes in Swarovski’s signature green box. The box is as close to a work of art as packaging is ever likely to get, and is yet another example of Swarovski’s attention to detail. The classy, understated design and high-quality feel of the box only heightens your anticipation of getting at the premium quality optics inside. The first thing you notice about the CL Companion is that it is small. I like neat, compact binoculars, and the CL Companion definitely fits into that category nicely. It feels like a high quality instrument when you pick it up too — it’s weight is comfortable, the textured rubber armour cushions your hand nicely and affords excellent grip, your fingers wrap effortlessly around the streamlined barrels and your thumbs settle neatly into the sculpted thumb indents on the underside. It is a very comfortable compact binocular that looks and feels great. Swarovski’s accessories are, perhaps unsurprisingly, top drawer. The strap is wide, well padded, comfortable and superbly finished. It lacks the “quick adjustment” feature of the top-of-the-line EL Swarovision and SLC HD range, but in all other respects it is very similar. The tethered objective lens covers are a high quality rubber that fit snugly and are easy to pop on and off, and the flexible integrated rain guard is excellent. Swarovski’s padded case — or “field bag” as the marketers like to call it — is one of the best I’ve seen with any binocular. It’s a scaled down version of the case provided with Swarovski’s top-end binoculars, but rather surprisingly it doesn’t come with a strap, just an integrated belt loop. The Swarovski CL Companion is a comfortable little binocular to hold and carry in the field. Its small size and aluminium and polycarbonate construction means it’s very light and unobtrusive, but it’s big enough to hold comfortably (for all but the largest of hands, perhaps), and Swarovski has done a superb job on the design and balance. The rubber armour is comfortable to the touch, and the way your fingers instinctively wrap around the dainty barrels makes for a very secure and comfortable grip. Intelligently placed thumb indents on the underside improve the already great ergonomics and guide your hands to the ideal position for handling and focusing. The twist up eyecups are easy to use, and have just one stop — fully up for non-glasses wearers, and fully down for those using glasses. 14mm of eye relief should be enough to afford a full or nearly-full field of view for most glasses wearers. It’s a great little package, and the CL Companion is a joy to carry and handle in the field. The central focus wheel on the CL Companion is made of hard plastic with little rubberised ribs. It’s a mini-version of the excellent focuser found on Swarovski’s bigger binoculars, and it performs flawlessly. Just over one full clockwise turn takes you from a close focus distance of around 3m (9.8ft) to infinity. Focusing the binocular is quick and easy. In general you’ll rarely need to focus on anything closer than 3 metres, but there are times (particularly if you like watching insects like dragonflies, damselflies and butterflies) when the minimum close focus on the CL companion might not be up to the task. I’d certainly have expected the ability to focus a little closer in a modern compact binocular of this calibre. Dioptre adjustment is in the familiar location under the right hand eyepiece, and is a simple twist-to-adjust affair. Surprisingly there is no locking mechanism, but the action is stiff enough to make unlikely to move accidentally. On the model I tested the rubber ring on the dioptre adjustment came loose — but I put that down to this being a test sample that has “done the rounds”, and has therefore been subjected to more than its fair share of abuse in terms of dioptre adjustment. While build quality and handling are generally strong points for Swarovski, it’s the optical performance of their products that has built the Austrian company’s reputation as a producer of some of the world’s finest optics. Along with that reputation, and the undeniably high price of Swarovski optics, comes high expectation. I was anticipating great things from the CL Companion. Perhaps I was expecting a little bit too much. Sporting Swarovski’s proprietary range of prism and lens coatings to improve light transmission, maintain colour fidelity and increase resolution (Swarobright, Swarotop and Swarodur, to give them their cryptic Swarovski monikers) the CL Companion delivers an astonishingly bright view. It’s so bright, in fact, that in all but the murkiest of conditions you forget you’re looking through such a diminutive binocular. At the centre of the field of view the image is razor sharp, with great contrast and colour and no sign of colour fringing (chromatic aberration). The binocular obviously emulates a lot of the good points of its more accomplished (and much more expensive), stable mates the SLC HD and the EL Swarovision. At first I was suitably impressed with the view through the CL, but after using the binocular for a while in a range of different conditions, and comparing it to a variety of other models of varying size and quality, the inevitable chinks in the CL Companion’s armour began to emerge. The excellent view in the centre softens markedly as you move towards the edge. I’m not someone who generally obsesses about edge sharpness. After all, how often do you use the very edge of the field to look at something? But in this case, when combined with a fairly narrow field of view in the 10×30 model I tested, edge-softness starts to become an issue as it encroaches on the centre of the field where your eyes are focussed. It makes the view feel a little hemmed in and claustrophobic. Another surprising issue I found with the CL Companion was glare. When light is in any way uneven or directional (early morning or late evening light, coming in low and from the side, or straight ahead, for example — or looking into a shadowy hedgerow from an area of bright sunlight) I found that the CL Companion I was testing suffered from excessive amounts of glare. In challenging light conditions some glare is inevitable even in the very best optics, and you learn to live with it. However, with Swarovski coatings and lenses I had expected the CL Companion to handle glare and stray light an awful lot better than it actually does. One morning I was watching migrant warblers working their way along the shadowy side of a nearby hedgerow. The early morning sunlight was shining pretty much straight at me — making for extremely challenging viewing conditions. The CL Companions were practically unusable. To my astonishment I found myself reaching for a much cheaper pair of full sized binoculars which yielded much more satisfactory results. The field of view of the 10×30 CL Companion is pretty average. At 5.7 degrees (c. 100m /1000m) it is not bad, but it does fall considerably short of the best mid-sized binoculars out there. Most of the competition in the mid-size bracket feature more traditional 32mm objective lenses rather than the 30mm of the CL Companion. That makes direct comparison of the statistics a bit difficult, but the more compact 32mm models, while not quite as streamlined, are very close to the CL Companion in terms of both bulk and weight, and routinely offer a field of view that’s substantially wider. It’s a shame the view through the CLs is not a little wider… because a wider field would, to some extent, negate the impact of softening at the edge of the field. As it is the constraints of an average field of view are exacerbated by the effect of softening at the edge. It’s an “either / or” scenario: soft edges with a wide field of view is workable, a narrower field with good edge sharpness is workable, but a narrower field with soft edges simply doesn’t work at this level. Any wildlife and nature binocular needs to be able to withstand the elements. The CL Companion is very rugged, despite its slimline appearance, and as you would expect from a high quality roof-prism binocular, it is completely waterproof and fog-proof. Sealed and nitrogen purged, the specification states that the CL Companion is waterproof to a tested depth of 4m (13ft) and has an operating temperature range of -25 °C to +55 °C. So in all likelihood you’ll succumb to the weather before your CL Companion will. Swarovski got an awful lot right with the CL Companion. The compact design, the ergonomics, the look, the accessories are all top-drawer. It’s just unfortunate that the things they got wrong are likely to be deal-breakers for birders and wildlife observers. I use my binoculars a lot early in the morning and late in the day, when wildlife is most active. Light is often coming in low and from the side or directly in front of me, and that’s when the CL companion seems to struggle the most with glare. I also find looking through them for any length of time a bit tiring — I think my eyes keep trying to refocus because of the softness at the edges encroaching into the central viewing area. I’m not sure exactly what it was: for a quick look the CLs were fine, but for extended viewing I didn’t find them particularly comfortable. Optics are all about striking the right compromises, but I can’t help feeling that the CL Companion is a compromise too far. I love the look of it: the streamlined compact design is a real winner, and the ergonomics are great. But for me it sacrifices too much optically to be practical as “main” birding and wildlife binocular. Conversely it’s not really small (or reasonably priced) enough to buy as a back-up “take anywhere” pocket binocular. It would be a great binocular for travel where weight and size really is in issue, but to be honest I’m struggling to think of a situation where I’d choose to leave my main binocular at home and take the CL Companion instead. For the sake of a few hundred grams and a couple of extra centimetres I’d go with the better performance of my main bins every time. Don’t get me wrong, the CL Companion is a very good binocular. It’s made by Swarovski after all. It’s just not quite as good as I was expecting it to be. €850 is a lot of money to spend, and there are better performing mid-sized birding and wildlife optics out there for that sort of money. 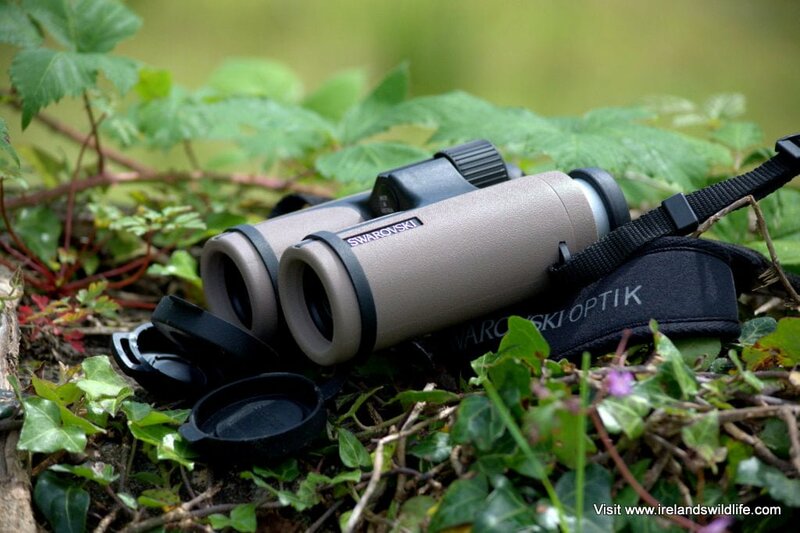 I’d like to thank Swarovski Optik UK and Ireland for submitting the CL Companion 10×30 for review on Ireland’s Wildlife. My wife and I are thinking of buying binoculars in the US this autumn. Swarovskis seem to be the favoured brands of the West Cork BW group. How should I approach the task of buying? 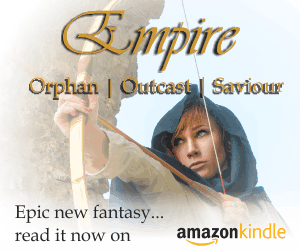 Do you have some pointers or some literature we could refer to? I wouldn’t recommend the CL Companion reviewed here as a primary birding binocular, but you can’t really go wrong with the EL 42 or 32 Swarovision or the SLC 42 HD (which is what I use). Bear in mind though that if you buy one of the top Euro brands in the US your warranty may be restricted to the US — worth checking out. It may also be worth heading to a Cabelas or one of the other big optics shops over there, where you can try lots of different brands side by side. Some of the US bins are very good. I’d definitely give something like the Vortex Razor HD a try before making a decision. Based on my experience with the Vortex Viper HD, if the Razor HD is a significant step up then it has to be a top tier contender — and it comes with an unlimited, unconditional, transferable no-fault global warranty. Whatever you decide let us know how you get on. Great review and some interesting thoughts especially as I have just finished testing the 8×30 CL. I get your point in that they would probably not be most peoples “main” birding and wildlife binocular and are probably a little to pricey to me most peoples back-up “take anywhere” pocket binocular. But as a higher spec travel, hiking or even sports binocular, I think they are perfect. With full compacts, you will sacrifice even more light gathering potential and often larger mid-sized bins won’t fit into your jacket pocket as these do. Which for someone like me who also carries my camera about with me is a really important aspect. Whilst travelling there are also many times when you don’t want to advertise that you have an expensive pair of bins with you, so it is nice to be able to quickly put them out of sight. Thanks for the comment Jason — much appreciated. Yes, I agree… the CLs would make an excellent choice as a “niche” travel binocular, but I was expecting them to be much more capable all-rounders — which is where I think Swarovski is pitching them. I really wanted to be delighted by the CL companions… and I loved their looks and ergonomics, but they fell short for me in the department where you’d expect Swarovski’s to excell — their optical performance. With €850 to spend you’re heading into outstanding optics territory… I’m just not convinced that the CL Companion would represent the best investment. Horses for courses though, naturally… it depends on what you intend to use them for. Look forward to reading your review of the 8×30. Thanks for the review, I am looking to buy a pair of nice mid sized bins. What other alternatives outperform the cl companion for that particular price range? I want to make sure I get the most bang for my buck.